Flash Gordon never fit in on Earth. But on the bizarre planet Mongo, Flash's thirst for thrills and daring danger makes him the perfect weapon against the iron-fisted tyrant Ming the Merciless and his awful interplanetary swarms of terror! Can the cocksure Man From Earth funnel his overconfidence into saving whole worlds? Will his less-rambunctious allies, Dale Arden and Dr. Zarkov, fashion a lasting peace with such savage races as the Beast-Men of Arboria and Hawkmen of Sky City? Or will the universe fall to Ming? 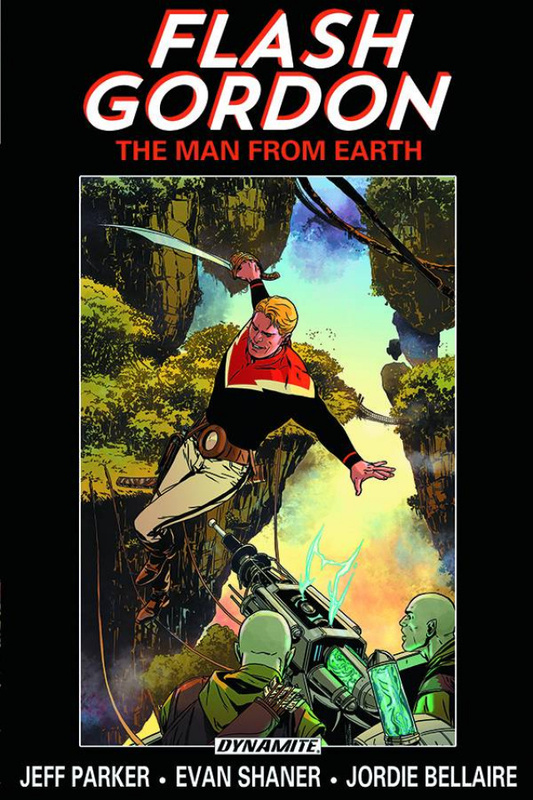 The full-throttle, complete Flash Gordon saga is collected here, featuring epic space action from the wildly talented creative team of Jeff Parker (Batman '66, Aquaman) and Evan Shaner (Adventures of Superman). This out-of-sight Omnibus edition also includes bonus stories from faraway Mongo, as well as a comprehensive cover gallery! Collects the complete eight-issue FLASH GORDON comic book series, plus the FLASH GORDON 2014 Holiday Special and FLASH GORDON 2014 Annual.